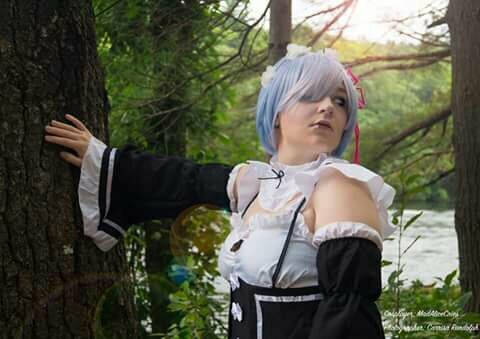 So I have been wanting to do a cosplay of my waifu Rem and I finally have! 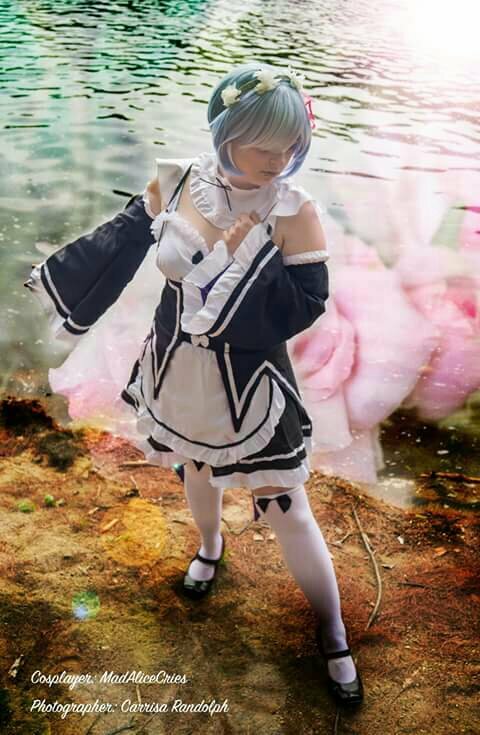 But they are kinda only tester photos as I plan to later make her weapon as well as take some photos with a Ram cosplayer I know. But for now I hope you enjoy these! Sooo “fun” story with this shoot. So we were taking these photos down by the river when a group of guys start passing us in their raft. We look up and they start paddling toward us while asking what we were up to. 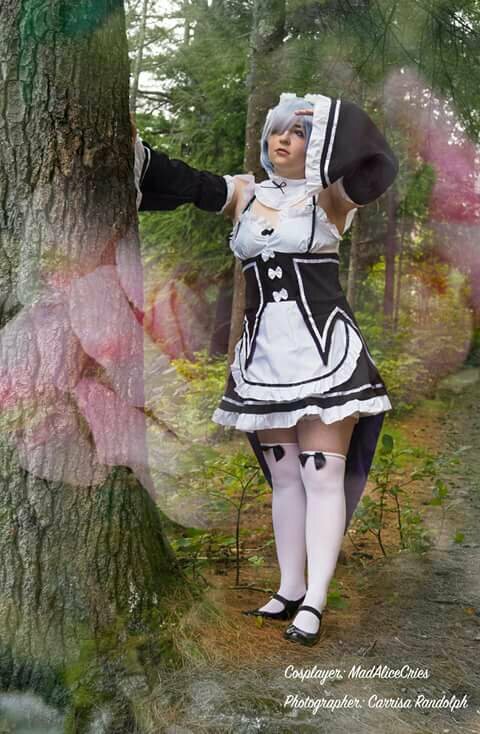 My photographer tries to explain cosplay and they just look back at her with confused and stupid looks on their faces. They then continue to watch us as I try not to be uncomfortable at their stares while wearing a maid outfit….so yeah…fun times.